2016 marks the 400th anniversary of the deaths of William Shakespeare and Miguel de Cervantes, who died on the same day, 23 April, in 1616. 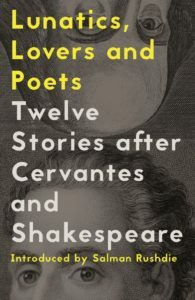 In the four centuries since their death, both writers have delighted and inspired audiences and readers around the world with their stories such as ‘Don Quixote’ and ‘Romeo and Juliet’. Their influence on the generations of writers who have followed them, and indeed on literature as we know it, is impossible to ignore.